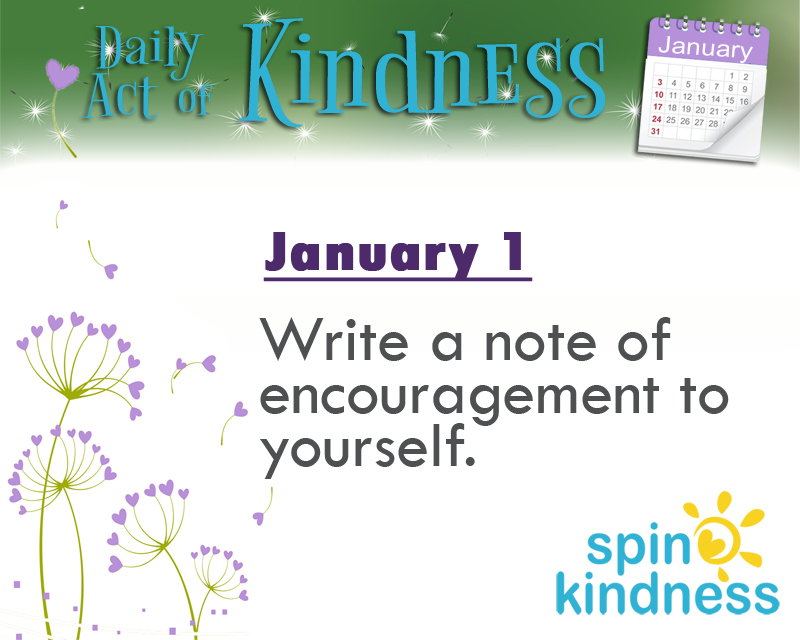 Today’s Challenge: Write a note of encouragement to yourself. Kindness starts with you. You deserve kindness! As a kind person, you likely put a lot of your energy into thinking of others. It’s a new year and time to renew your energy! Write out a private note to yourself. Tell yourself what you are good at, what makes you unique, how important you are, and how you matter to those around you. Include ideas for what you can do on days you don’t feel so great. Then, keep the note handy to read whenever you need a little reminder of just how special you are!